We don't know where Hild was born exactly and when her father died—or her mother. We have no idea what she looked like, what she was good at, whether she married or had children. But clearly she was extraordinary. In a time of warlords and kings, when might was right, she begins as the second daughter of a homeless widow, probably without much in the way of material resources and certainly in an illiterate culture, and ends a powerful advisor to statesmen-kings and teacher of five bishops. Today she is revered as St Hilda. What sort of person must she have been? What sort of woman? What must she have faced? Nicola Griffith uses the bare framework laid down by Bede some 1300 years ago, works within the guideposts of what we actually know to have occurred at that time, and fills in the gaps with how this all could have gone down. Who was St. Hilda of Whitby? Nicola Griffith answers a different question: Who was Hild? Hild, as presented here, is a child, then a young woman, who presents herself as a "seer" who becomes the advisor of her uncle, Edwin, king of Northumbria. It may not matter whether the visions that Hild presents are real, though the way Griffith writes them, the visions come across more as policy / suggestion presented as vision. They are ways to coerce Edwin into action as well as preserve and protect the place of Hild in his court. Throughout the novel Hild grows from a young girl to a woman of eighteen years, and while she has lived something of a charmed life, it has been a precariously charmed life. She has an importance and a place in her world that rises above the perception of her age and perhaps her gender (in that world), but that importance and surety of safety lies along a very thin thread: anger the king or fail with the wrong "prophecy" and she will be killed. Griffith takes this often brutal world and makes it come alive through her prose. Hild is a remarkable character, never anywhere close to perfect, but fully realized and growing all the while. But, it isn't just Hild that is a fleshed out character. From kings to warriors to peasants to slaves, Griffith presents each character as someone who might just have lived so many years ago, and with deft touches, those characters have their own lives that keep on going even when they are not on page. Hild is a beautifully written book, as remarkable in what it accomplishes as Hilary Mantel's Wolf Hall, only here Griffith has less source material to work with in fleshing out what this world of the 600's must have been like, with Christianity only beginning to take hold and become part of a conversation between kings and gods. Griffith ends the novel with Hild still a young woman, not yet the woman or saint she will become, but a fascinating and important woman in her own right even still. 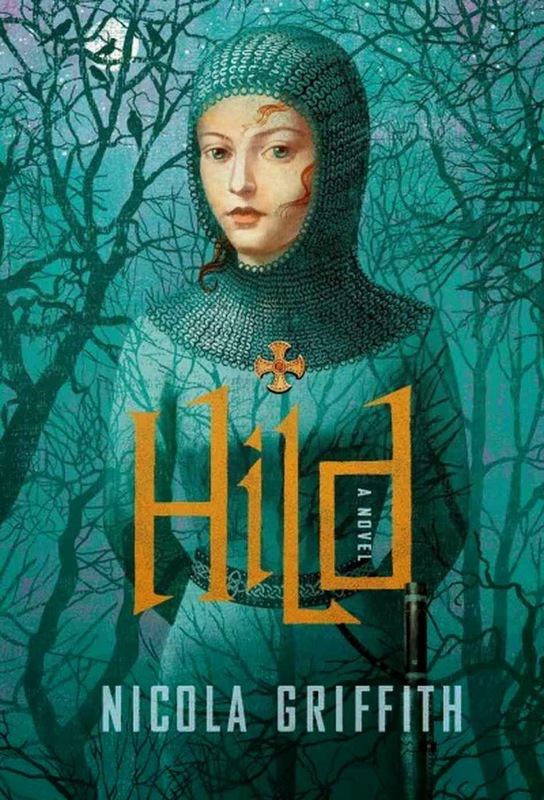 A powerful novel on its own, Hild addresses the question of "who is Hild" but leaves the reader wondering still just how Hild becomes St. Hilda. For that, we must wait, eagerly but patiently, for a future novel. Until that day, Hild comes highly recommended.